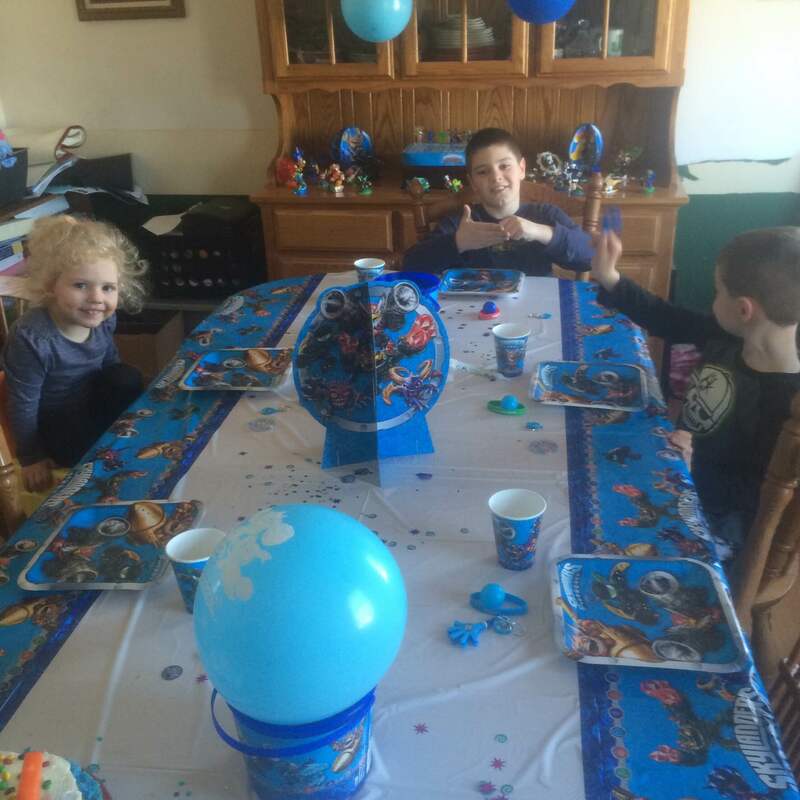 Home » We Had A Skylanders Party… And It Was Awesome! 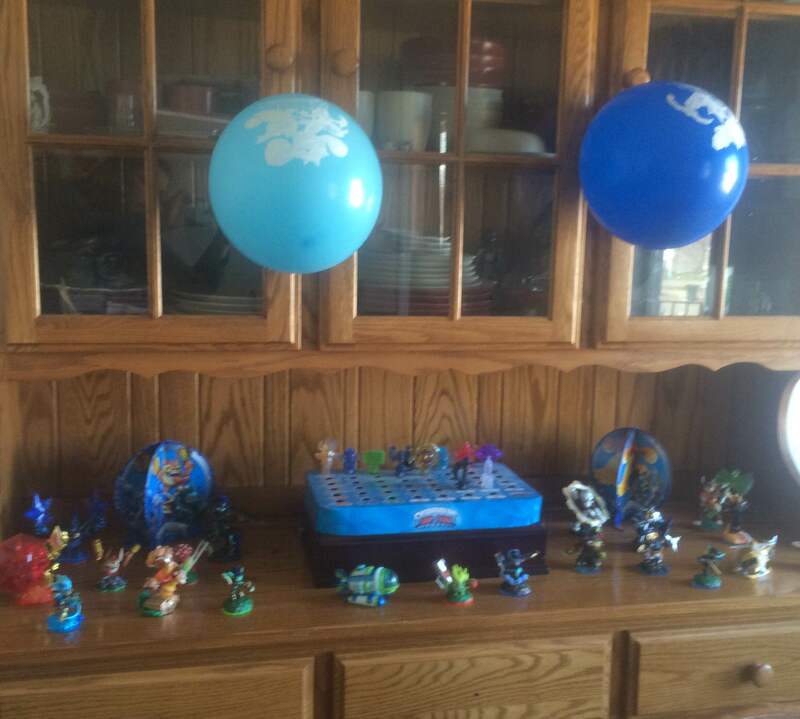 We Had A Skylanders Party… And It Was Awesome! Who is ready to feel wicked old? I know. I know. This comes up every time a video game franchise from our childhood has a massive anniversary. But, you know what? How about meaningful anniversaries from the video games our kids will look back on fondly the same way we look back at Super Mario Brothers? 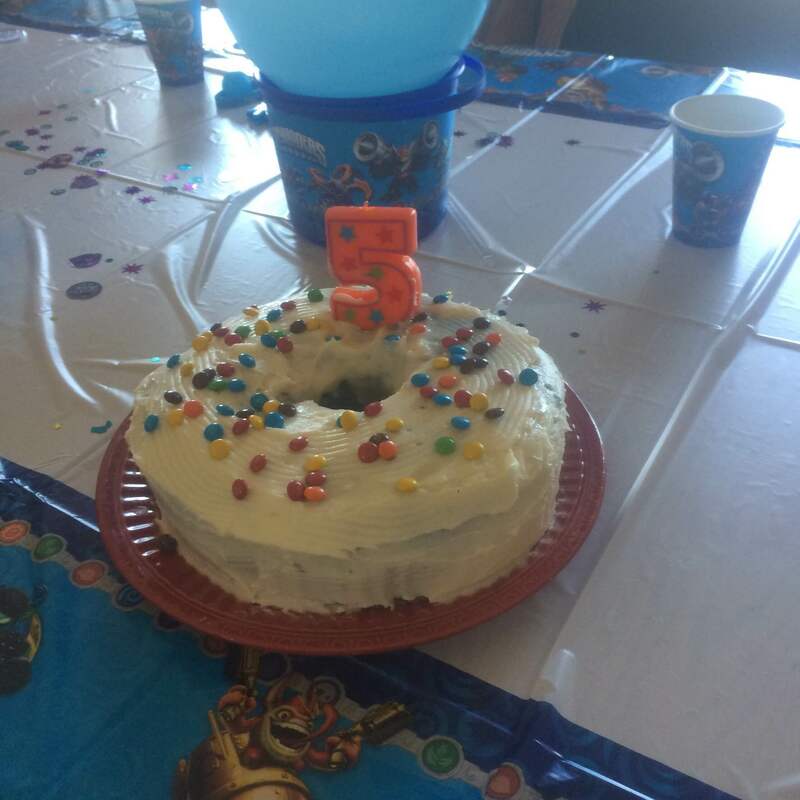 On that note: I would like to remind everyone that Skylanders is turning 5 this year. It is now officially in Kindergarten. KINDERGARTEN. Since it has reach school age it only made sense that we throw the franchise a birthday party! Fortunately for us Activision PR was ready to lend a helping hand. I have to admit that it didn’t hurt that Duff, the Ace of Cakes himself, was bringing a new show to FoodTV called CakeMasters and was featuring Skylanders on their most recent episode! It all came together earlier today as a start to April vacation! Our kids, and their guests, loved watching Duff’s antics on the show as he tried to bring some of their favorite characters to “life” in cake form. (Spoilers: Eruptor was a fan favorite for the 10 year old boy set). 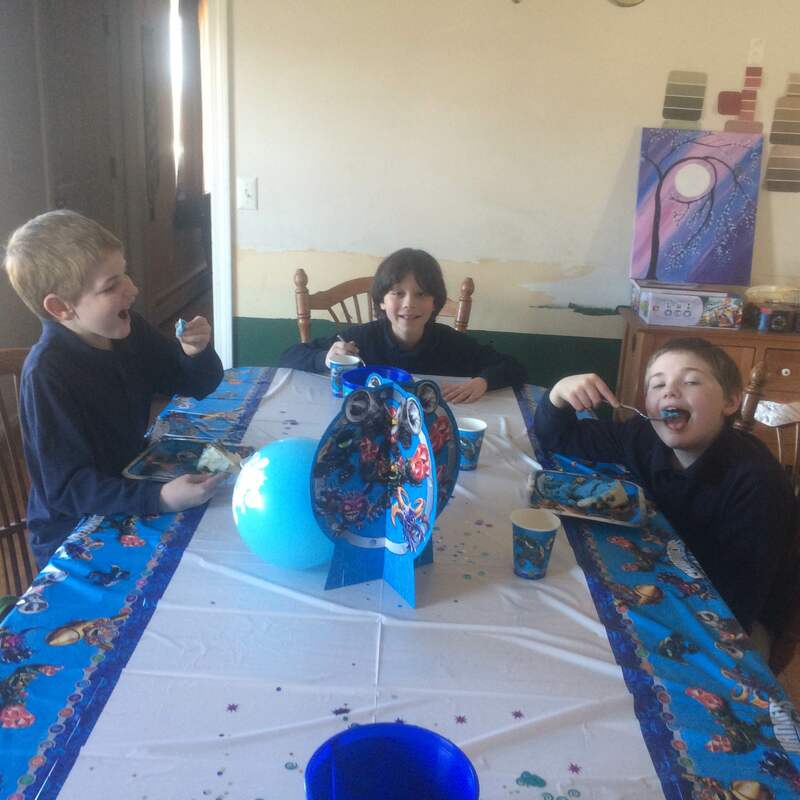 The followup was a Skylanders themed party with a blue cake and a whole bunch of awesome Skylanders decorations care of Activision PR. Just take a look at those happy faces! This was super easy to set up and all of these decorations can be purchased at major retailers and party stores. 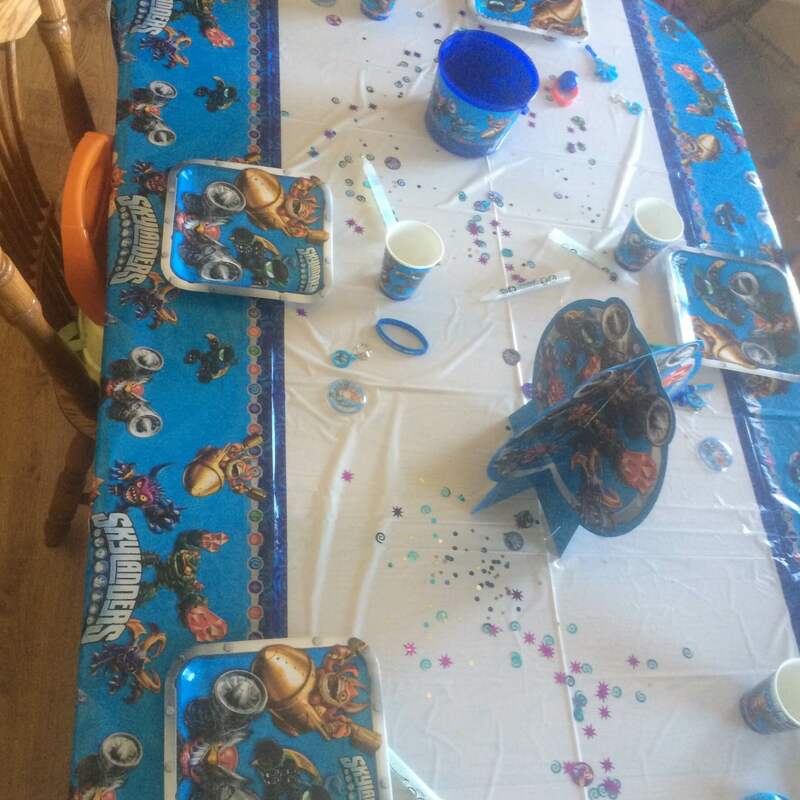 This is a great idea for your own kids birthday parties OR a party to celebrate when Skylanders: Spyro’s Adventures released later this year on October 12th! If you missed the episode of CakeMasters you can read up on the details here and make sure to check it out On Demand on your Cable network! 12 Awesome Board Games that Teach Reading and Language Skills!